Parenting throws at you an endless list of challenges; some rewarding, and some downright frustrating. Perhaps one of the most unfortunate challenges is the weekly trip at the supermarket. And no, we don't mean a relaxing trip to buy a bottle of grape and your favourite microwave meal to enjoy at home in peace and quiet. In fact, we mean quite the opposite - the below experiences are no doubt far too familiar when you have children. And what might be often planned as a splendid trip to the shop, turns out to be an uncontrollable couple of hours filled with stress, tantrums and an expensive receipt at the end of it. 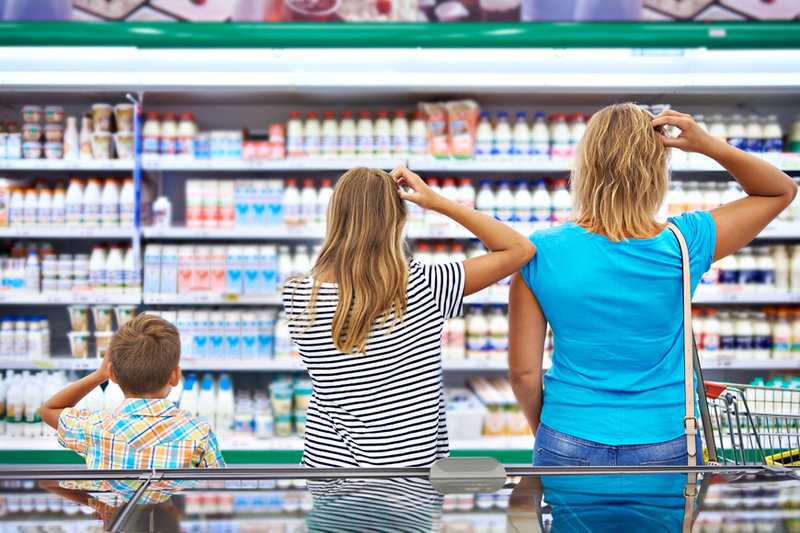 So here's 9, very real nightmares of shopping as a parent with the kids in tow. Let's start with the most feared one. Whether they're tired, stubborn or don't get what they want - prepare for stomping feet and tears. And you end up with 2 packets of crisps, half a box of biscuits and an empty drinks bottle that you have to pay for at the till. Or worse, sneaking them in when you're not paying attention. Because you can guarantee, half way round the store - they'll forget how to use their legs. Or on the other hand, will want to go for a joy-ride with their sibling pushing. Only for them to go missing after 15 seconds. Only to become every other shopper's entertainment. Set of erasers? New Frisbee? A box of cereal because it has a toy in? And then you're faced with hyperactivity for the rest of your afternoon. And you have to resist the urge.